Now a day in this busy hectic world people are now asking services to come to them and mobile hairstylists are one of the growing trends going mobile. Up there leading the pack in mobile hair stylists is Serenity Makeup. 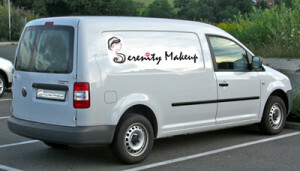 Serenity is a sort after makeup artist who also does hair styling and best of all she is mobile. She has all the tools to bring the salon to you wherever you are, be it at home, at work or even at a hotel. Serenity’s passion is beauty, and she does it all. 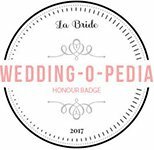 Whether it is for a blushing bride, a wedding, special occasions, parties, corporate events, balls, you name the occasion and Serenity has all the experience and qualifications to make you look incredible. Serenity keeps up to date with the worlds trends and knows what’s hot and what’s not and she only uses salon quality hair products, so your hair is in good hands. She has worked for high profile New Zealand and international clients, fashion shoots, editorial shoots and numerous brides, she is the go to artist for a professional, incredible job. Let your hair be one less thing to worry about as not only is she talented, and passionate but she is someone you can rely on. All you need to do is wash and dry your hair and she will do the rest to turn you into a stunner. Travel around Auckland from the city side of the bridge to Manakau is complimentary, further out may require a fee. So if you are looking for someone amazing to do your hair styling look no further than Serenity Makeup. Give her a call, an email or fill out an online quote form, and let her make you look incredible, red carpet ready for that special occasion, or even just a night out with the girls. Call now. Next Next post: Looking for a bridal makeup artist around Auckland?